On Wednesday October 8th the NoEL group will visit Phelan Corrimal to learn about the Rockcliffe University Consortium in SL. Rockcliffe University Consortium is a distance learning organization servicing worldwide virtual learners and businesses. Located in Canada, the United States and the metaverse. 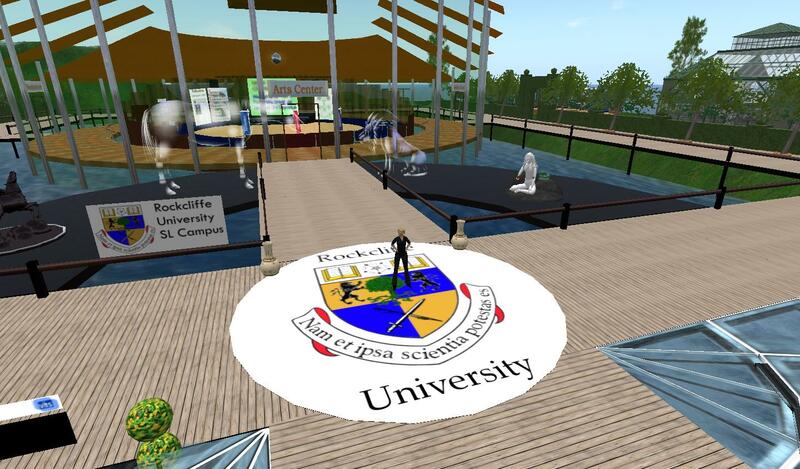 Rockcliffe University Consortium provides education, training and real time collaboration for its virtual members by incorporating interactive 3D immersive learning environments. Phelan is the President of Rockcliffe and will tell us about his visions and work in-world while showing us selected locations.